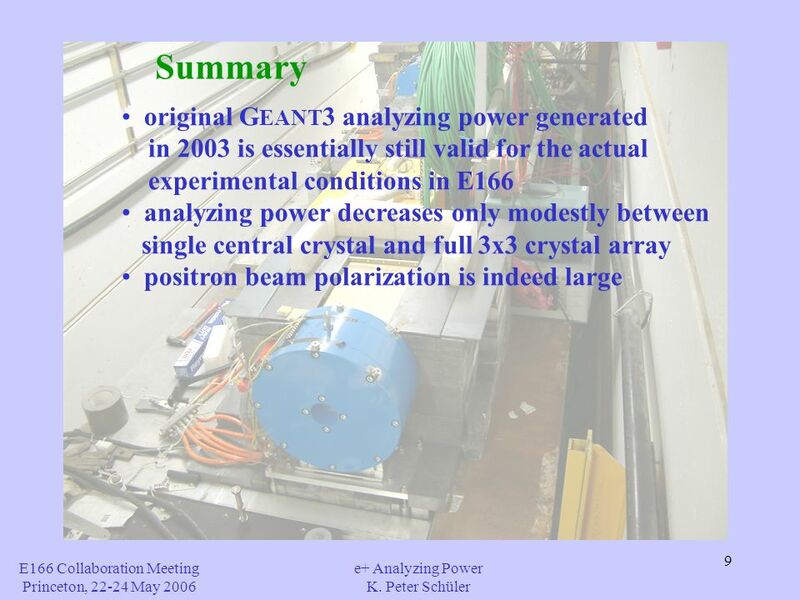 E166 Collaboration Meeting Princeton, 22-24 May 2006 e+ Analyzing Power K. Peter Schüler e+ Analyzing Power: what we know from old G EANT 3 simulations. 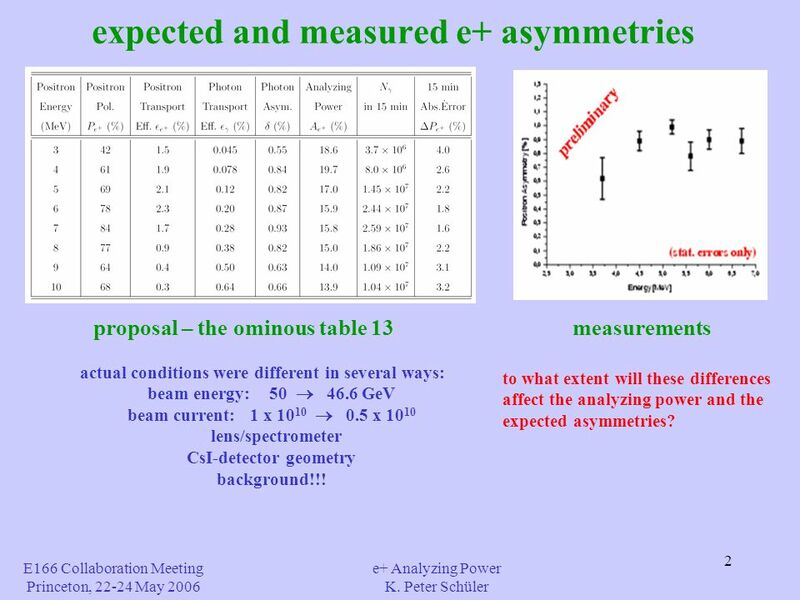 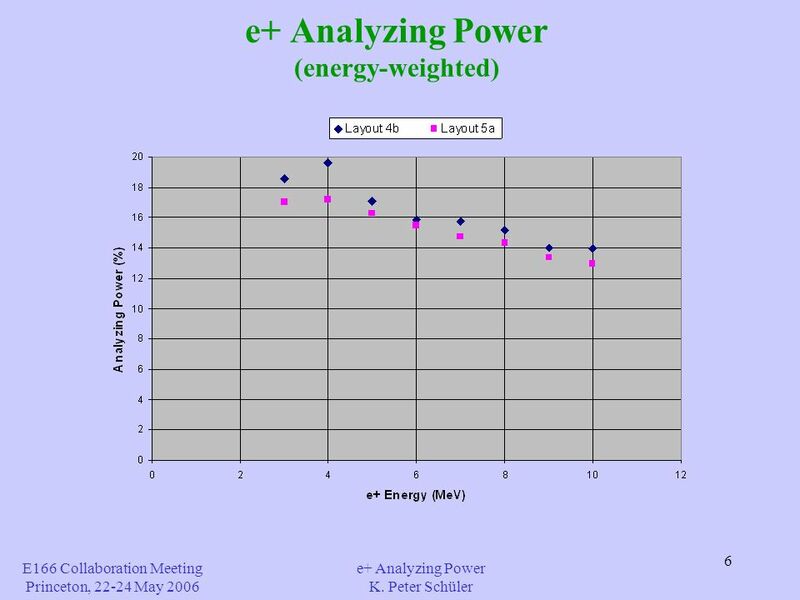 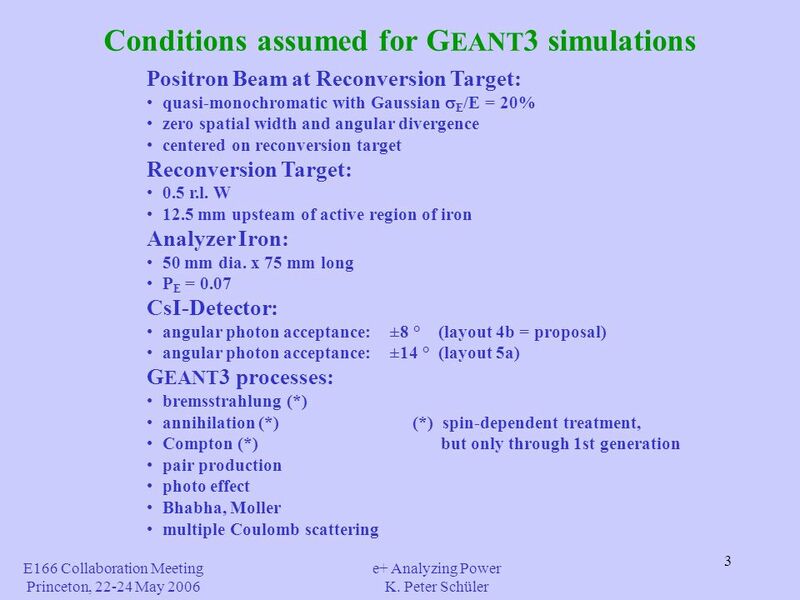 2 2 expected and measured e+ asymmetries E166 Collaboration Meeting Princeton, 22-24 May 2006 e+ Analyzing Power K. Peter Schüler proposal – the ominous table 13measurements actual conditions were different in several ways: beam energy: 50 46.6 GeV beam current: 1 x 10 10 0.5 x 10 10 lens/spectrometer CsI-detector geometry background!!! 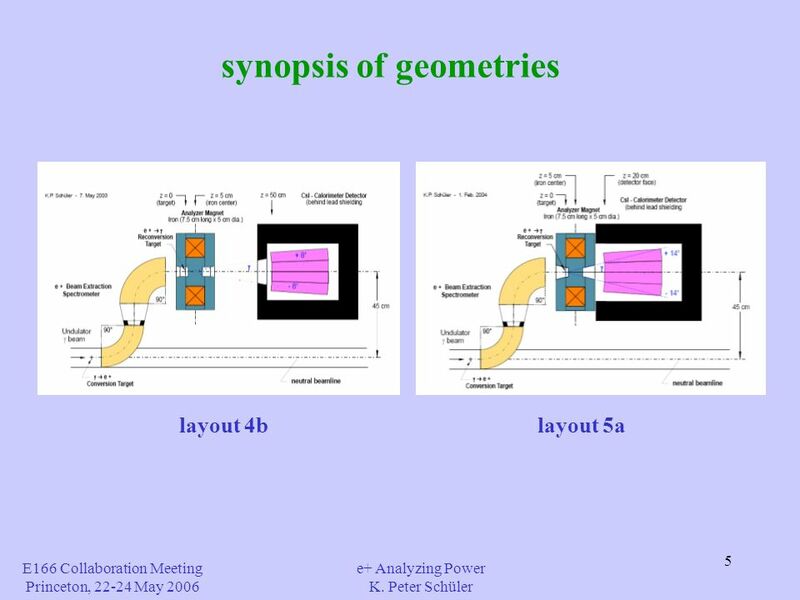 to what extent will these differences affect the analyzing power and the expected asymmetries? 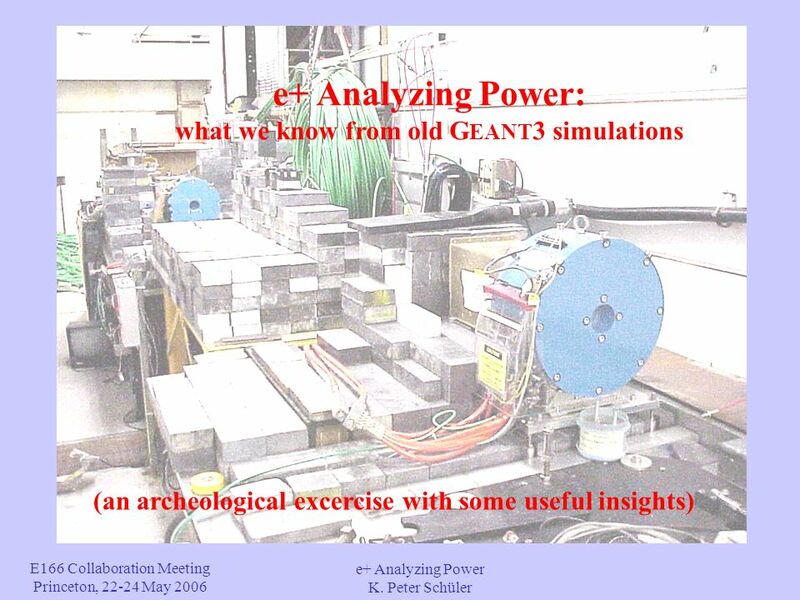 Download ppt "E166 Collaboration Meeting Princeton, 22-24 May 2006 e+ Analyzing Power K. Peter Schüler e+ Analyzing Power: what we know from old G EANT 3 simulations." 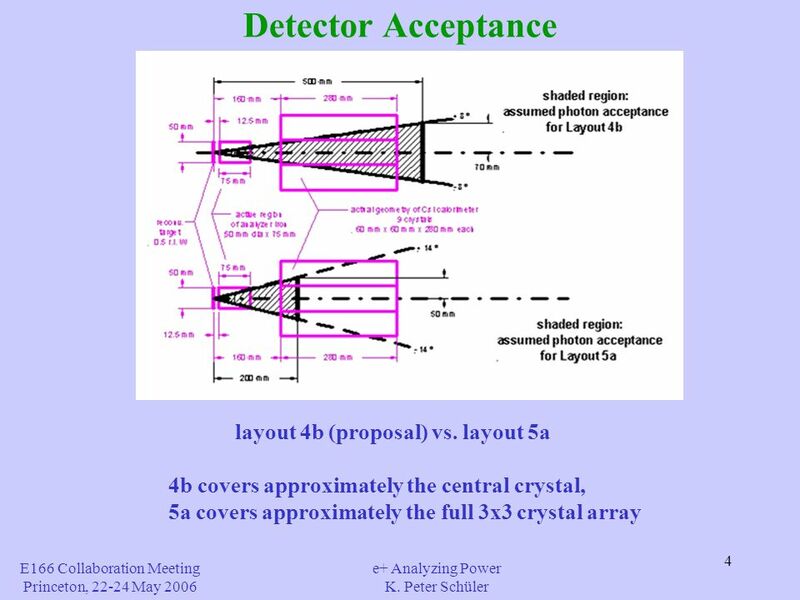 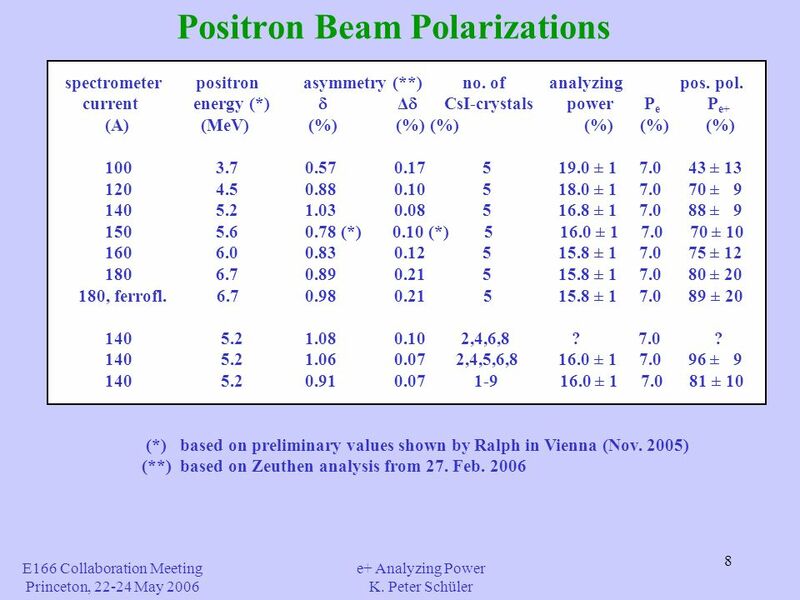 POLARIMETRY of MeV Photons and Positrons Overview Beam Characterization – undulator photons – positrons Basics of the Transmission Method – for photon. 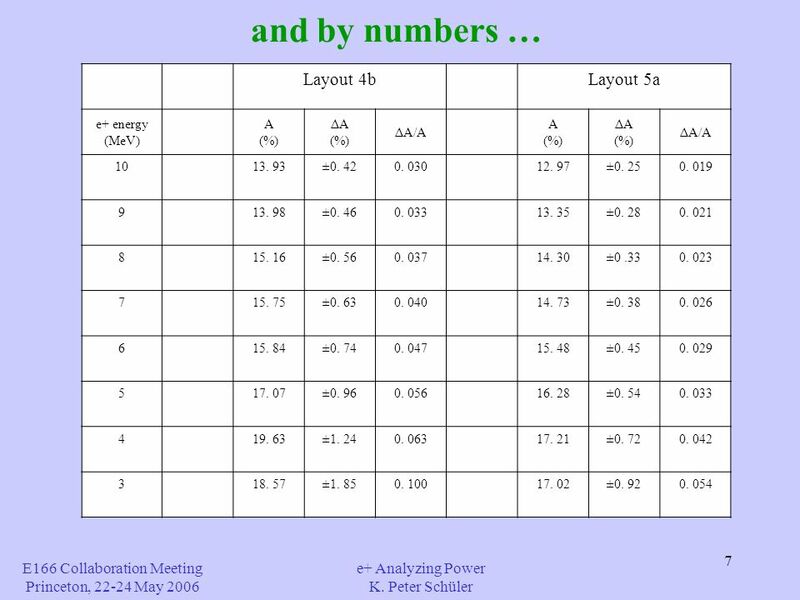 The E166 Experiment K. Peter Schüler e+ source options for the ILC undulator source scheme for ILC E166 – proof-of-principle demonstration of the undulator.